Phew! After over a year, The Odd Gentlemen has finally released the last of the King’s Quest chapters. With a few months in between chapters, it has been a long wait at times, but you can see that each chapter has also been worked on hard right up until release. I have been able to take the time with each individual chapter as it released, and have now had a second, much more substantive play through of the entire game. These thoughts will reflect the series as a whole, with some emphasis on Chapter Five and the Epilogue. There will be some minor spoilers though, so beware. Related reading: A Game of Thrones by Telltale Games is perhaps the best example of a modern point and clicker by that developer. A review of the first chapter here. The narrative that encapsulates the series as a whole centres around an elderly King Graham on his death bed, as he tells stories of his grand adventures to his granddaughter Gwendolyn, and his grandson Gart (whenever he decides listening to stories is important enough). 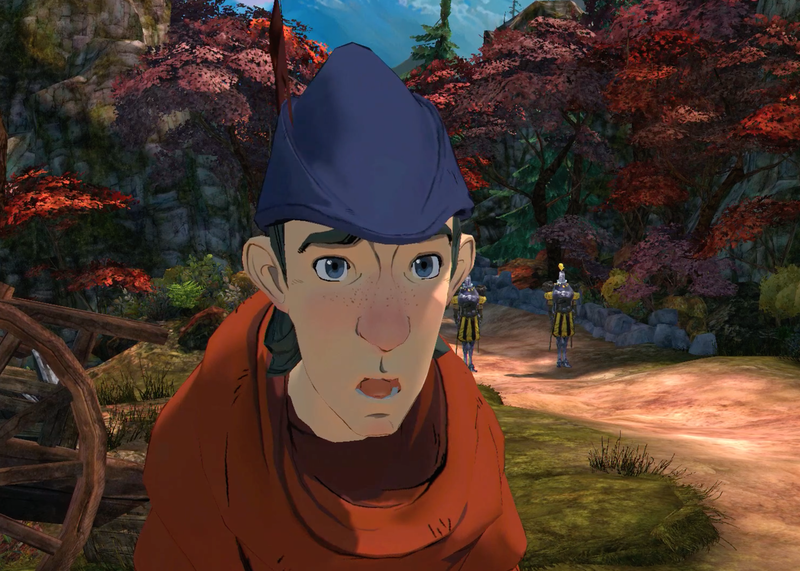 Each of the chapters focus on an aspect of King Graham’s life that were never detailed in the original King’s Quest games, more so acting as a buffer in between those games, and which, for fans of the series over the years, has been a really good way to bring continuity into the new game. 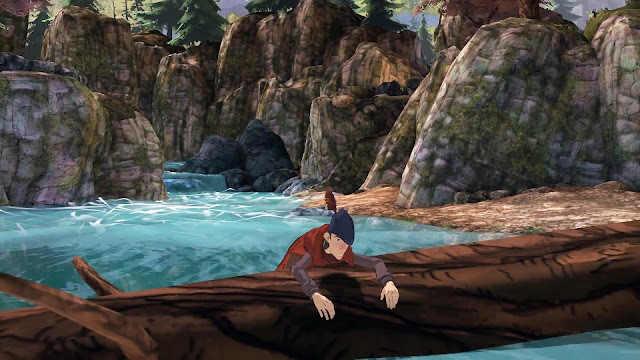 To explain further, in the original King’s Quest, Graham, as a knight, must acquire three magical artefacts for King Edward to restore prosperity to the kingdom of Daventry. The first chapter of this series explores the time period before the first game, telling how Graham arrived in Daventry and became a knight in the first place. Another example in Chapter Four shows how Graham tries to make up for the 17 years his son was imprisoned by Mannannan, the dark wizard. Alexander’s escape can actually be played out in the original King’s Quest III released way back in 1986. It’s effective storytelling in the way that they have enough Easter eggs for fans of the series to piece together, while capturing a story all on its own that newcomers can understand. These stories, for the most part, are told incredibly well by King Graham. While learning about his past, the game transitions back to conversations between Graham and Gwendolyn and does an effective job of showing the bond that the two have. There are other cut scenes set in the present day as well that do not involve Graham himself, and their inclusion isn’t obvious until chapter five when it all gets pieced together. The final chapter (not including the prologue, which was released later) takes place soon before present day, with an elderly King Graham keen to do one last adventure before he passes on. Again, this tale is told to Gwendolyn, but it is clear that Graham is losing his mind at this point and is nearing the end of his life, making details within the chapter incredibly sketchy. Before long, Mannannan and his brother Mordack, the two evils wizards hell-bent on ruining Graham’s life and everything in it, are back in Daventry for another test of wits. Mannannan’s obsession over being outsmarted by Graham is an effective trait for an antagonist, and gives reasoning behind the actions of someone whose life could have turned out very differently had he been given the position of knight over Graham in the first chapter. The end of the chapter sees how important the kingdom of Daventry is to Graham, who sacrifices himself to save the kingdom he built for his family. The chapter ties up the entire series nicely and connects the characters to the audience in a way most video games don’t even try to do. While I knew Graham’s death would be inevitable, the final moments of Graham were still very emotional and powerful. I haven’t cried playing a video game since the Flute Boy’s last song in A Link to the Past over 20 years ago. So while Chapter Five was about finality and moving on, the other four chapters had their own unique narrative points. Chapter One was about how compassion, bravery and wisdom combine to overcome the odds. Chapter Four’s was about family unity against all odds. While these narratives do a good job of making each episode unique in their own way, and avoids repetitiveness effectively, it also serves as a tool to show how Graham is teaching Gwendolyn valuable life lessons through the telling of his stories. As a teacher, I know all too well that in order to help children learn, one must tie in new knowledge to their interests. I’m not 100 per cent sure that someone at The Odd Gentlemen is actually aware of teaching methods, but Graham’s teachings through Gwendolyn’s obsession with dragons and adventure is spot on. Each of these chapters are mostly self-contained, with an appropriate introduction, complication, resolution and coda. 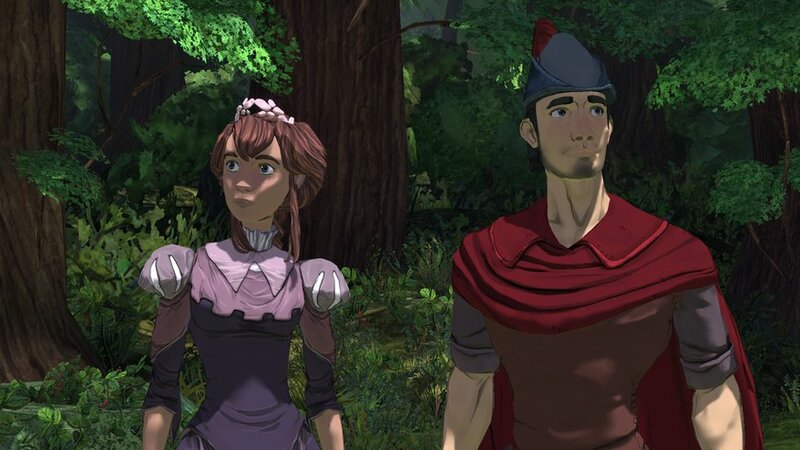 King’s Quest does not sum up what happened in previous episodes, so waiting three months for each episode proved problematic at times when trying to recall certain aspects and recurring characters. This, obviously, is no longer a problem, as you can just 'binge' your way through the lot of them. Ultimately, much like the episodic series that Telltale belt out continuously, there are only two really big decisions that impact the rest of the series. 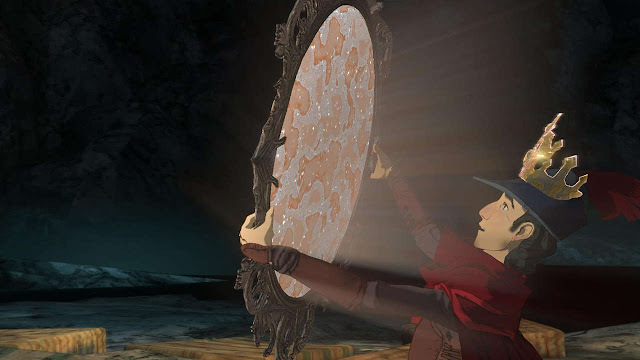 The saving grace with King’s Quest is that it never boasts about how your decisions will impact the rest of the narrative, so it gets a pass in this regard. With each chapter having its own narrative style, there is some serious variety in different puzzles presented in each chapter too. The first chapter offers a traditional point and click adventure, while Episode Four is more about shifting ice puzzles (those puzzles where pushing something sends it flying until it hits a wall or object), and Episode Five is mostly about mathematical puzzles. It keeps the series fresh overall, and enables it so that if a player does not enjoy a particular chapter, there is still hope in the next, the chapters are not repetitive in the least. Also keeping the series refreshing are the two voice actors for King Graham, Christopher Lloyd and Josh Keaton, as well as Mannannon’s voice actor, Wallace Shawn. For those unfamiliar, you may know them better as Doc Brown from Back to the Future (Lloyd), Shiro from the new Voltron series (Keaton), and Rex from Toy Story (Shawn). Graham’s voice actors lend him two distinct personalities at different parts of his life, with Keaton providing a sense of enthusiasm and wonder as Graham grows as a person, while Lloyd gives Graham a sense of age, wisdom and reverence towards his memories and his granddaughter. Shawn gives Mannannon a quick-witted but twisted feel, not too unfamiliar from his portrayal of Vizzini from the Princess Bride. Who really shines in King’s Quest however is Maggie Elizabeth Jones. It is often difficult for child actors to portray characters other than themselves, but her portrayal of Gwendolyn really shines. She has had experiences with Matt Damon (We Bought a Zoo) and Jason Bateman (Identity Thief) which undoubtedly would have been a learning experience in itself. Her enthusiasm and childlike innocence is fitting for a young girl who wants to go on grand adventures like her grandfather. She also pulled off the final scenes of Chapter Five wonderfully, and it was her performance that brought me to tears. Related reading: And for a very different example of a modern adventure game, check out Dontnod's brilliant Life is Strange. Our review of the first chapter. Gwendolyn was such a strong character that she is the starring character in the Epilogue. Set some time after the first five episodes, Gwendolyn sets out on her first adventure. Some old friends pass by in a quick, cameo-like appearance, but the epilogue acts as a possible starting point for the inevitable second season. Gwendolyn briefly showcases some of the things she learned through Graham’s stories, and meets a character who has a connection to one of the characters from way back in chapter one. I really do hope they explore Gwendolyn further down the track, as I feel that being away from the shackles of having to stick to canon will make her story even better than Graham’s. Many people may simply look at King’s Quest and think it’s cashing in on an old series and taking advantage of the revival of point and clickers. It is so much more. The Odd Gentlemen is such a small team, but Creative Director Matt Corba should be given some sort of award for his work with this game. He, and his team, handled the canon of the previous games beautifully, while managing to weave an entirely new and just as endearing storyline into it. The team might not have had an IP like The Walking Dead or Game of Thrones to work with, but King’s Quest does everything right.